There are many materials that can easily be upcycled for Papercraft, making ornaments, or in Cardmaking or Giftwrap. Here’s a few that I’ve used. you may already use some of these but I hope I can introduce you to a few new resources. The Scraps from your regular supplies: For example, Vinyl, Printable Foil, HTV etc. Doesn’t matter if they are small scraps – to use with your cutting machine, position the material on the top left of your cutting mat and position your cut file in the same position in your software. Works for me and I don’t have PixScan. In the Design page settings turn on “Reveal” mat and you can check that the placement of the cutting file in the software corresponds with the position of your material on the real cutting mat. Do you own Metal Dies? – I cut shapes from my scrap materials with metal dies. This is so quick and easy. It’s probably quicker than using the cutting machine really. No lining up required. Just roll the scraps with your metal die sandwich through your die cutting machine. Here I combined the two tips above: I cut HTV material off cuts with a metal reindeer die and ironed it on to some organza bags. Perfect little festive bag for a small gift like earrings or similar. Shopping Bags – These are a great paper resource. I don’t mean the plastic supermarket bags but the branded carrier bags in lovely heavyweight paper from boutiques, specialty shops etc. Last year I cut up a glossy black bag which was a wonderful source of a classy looking gloss paper at no cost. I was able to use it in a few greeting cards. A red glossy bag was cut up and made great accents in some Christmas Cards. Greeting Cards. What a great resource! Before you turf these into the rubbish, salvage anything with gold foil or a glitter finish or any little decorative picture or design. Square shapes are pretty easy to cut with a metal ruler and a scalpel. The greeting on the front of greeting cards. Can these be easily cut to mount on a new card? If so, save the card front until the right upcycling project comes along. I usually look for a greeting with or without a border that can easily be cut with my metal ruler and scalpel. Packaging: This is an unusual one! I salvaged some lovely silver Card stock. My hubby bought an electronic gadget which was packaged in a blister pack- The silver card was the backing card in the packaging. It had a lovely finish! Talking of Blister packs…Is there a flat bit in the packaging. May be you can cut it out and use it. I’m thinking it may be useful for a shaker card …..
How about acetate gift boxes? Cut them up to use in shaker cards too. Or cut with dies or your Silhouette to make see-through accent pieces. Envelopes: are a good source of coloured paper – Use them anywhere that you need a coloured paper. Beads and broken jewellery parts. The Card at the top of this post used Red Envelope paper, a small Tree Design from a Gold Foil Card and I die cut the snow flakes from a plain section of the same foil card front. One Red & Gold card had all the designs elements that I used in the card below. I cut and mounted three squares and the sentiment. I cut the circles with a hole punch from areas of the card that had printed stars or gold foil. I mentioned above the silver backing card that was in the Blister Pack packaging. Well this is what became of it. I cut it with a square die cut and popped the reindeer on top. The pink glitter is Book covering material. I’ve used it quite often before….here and here. The Merry Christmas Square below is from a scrap of printable Silver Foil. I lined it up (as described at the top of this post) and sent it through my printer attached to a sheet of Card stock (as a carrier sheet) then I cut it with a metal die. The jar body is white glitter salvaged from a Christmas Card as is the small snowflake. The Jar lid is that Silver Card (again) from the blister packaging. My jar is cut with a metal die but I have a Free Jar cutting file here that would work well. And finally my favourite card – The Red Background and Tag are cut from a Red Envelope. I adhered the tag to cardstock before cutting to give it extra thickness. The Reindeer and the word Joy are both cut from Vinyl off cuts. As a final touch I added some metal beads I had lying around. In most of my samples, I’ve used metal dies. (that’s because I’ve been enjoying playing with a new toy! However, all this is perfectly doable with the Silhouette Cut machine too. With the busy Card and gift giving season coming up take a second look before you toss out the cards and wrapping after the holidays! I hope I’ve given you some ideas you can use. Thank you so much for so many great tips and also I enjoy your free files very much. My pleasure Nicky. Thank you for supporting my blog. I love the faux stitched squares. What die did you use for them? 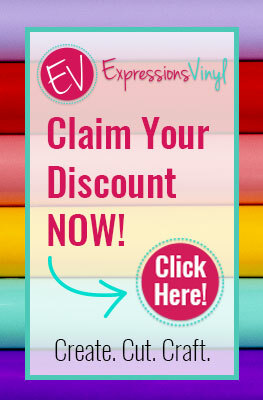 Crafts > Scrapbooking & Paper Crafts > Die Cutting & Embossing > Die Cutting Cartridges. They came direct from Hong Kong/Taiwan/China. I used various sellers – there’s heaps of choice at various prices for the same thing, So shop around. I ordered about $AUD50 of dies and got a stack of different ones. A warning though – shipping to Australia took about 6 weeks, I wouldn’t know if it would take that long to other countries.